An article “The ozone hole is both an environmental success story and an enduring global threat” by Shane Keating and myself appeared in The Conversation. Includes an embarrassing interview. Anna Scott’s application to the EPA to build and deploy 300 WeatherCubes within Baltimore is one of two selected. More info. 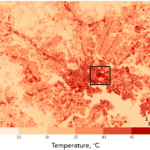 Anna Scott’s paper on Intra-urban temperature variability in Baltimore accepted for publication in the Journal of Applied Meteorology and Climatology. Early release version here. Congratulations to Olga Tweedy for passing her Graduate Board Oral exam. Jordan Thomas and Anna Scott pass GBOs. Congratulations to Jordan Thomas and Anna Scott for passing their Graduate Board Oral exams. An article on the B’more Cool urban heat island project has appeared in Earthzine. Paper on cause of recent tropical expansion in SH published. Waugh, D.W, C.I. Garfinkel, L.M. 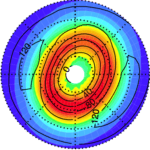 Polvani, 2015 Drivers of the recent tropical expansion in the Southern Hemisphere: Changing SSTs or ozone depletion? J Climate, 28, 6581-6588. Check out full paper.